This is a choice and very priced form with very wide tubercles selected by Japanese growers. 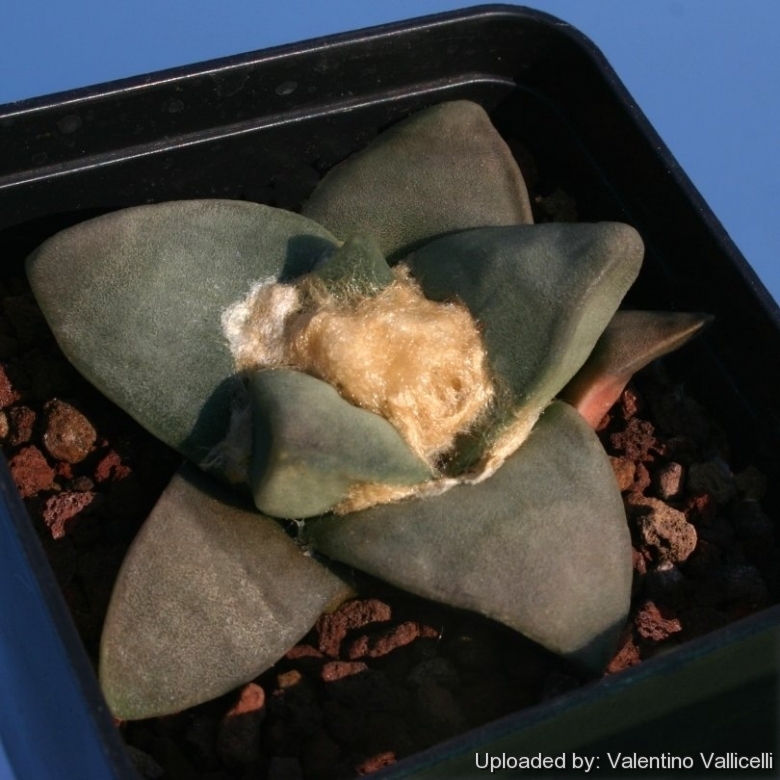 Description: Description: The standard Ariocarpus retusus (f.ma furfuraceus) is a solitary, slow growing geophyte cactus with tubercles slightly projecting above ground level. The "major" form is a cultivated selection with very wide leaflike, divergent tubercles. In earlier times, these large tubercled A. retusus were called “Tama-botan” in Japan. Today, Tama Botan is a generic name for wide tubercled A. retusus. Tubercles: The wide smooth tubercles, with flat surface are the main distinctive characteristic of this priced form, they are 3,5 to 5 cm wide, and are as wide as long or wider in adult specimens. Stem: Grey, or blue-green, flattened, globose, rounded on top, 3-12cm high, 20-30 cm in diameter. Fruit: White, green, or rarely pinkish, 10-25mm long, 3-10mm in diameter.